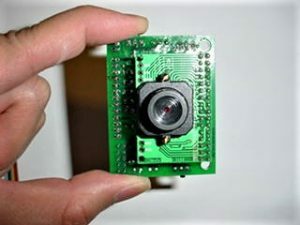 The first CMUcam made its splash in 1999 as a CREATE Lab project. The CREATE Lab is part of the Robotics Institute at Carnegie Mellon University, where many of the world’s amazing robots are conceived. 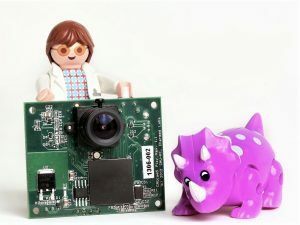 The CMUcam was the first readily-available and affordable vision sensor, and it quickly became a favorite among robot-builders and makers, who wanted their creations to be interactive and accomplish simple tasks using vision. Over the years new versions of the CMUcam were released with newer technologies and improved capabilities. 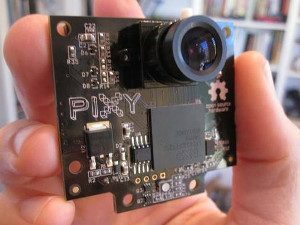 Pixy is the fifth version of the CMUcam, or CMUcam5, but “Pixy” is easier to say than CMUcam5, so the name more or less stuck. Pixy got its start in 2013 as part of a successful Kickstarter campaign, and as a partnership between Charmed Labs and CMU. It first began shipping in 2014 and has since found its way into lots of projects, creations, and (we hope) the hearts of many. Pixy is plug-and-play compatible with Arduino, Raspberry Pi and Beaglebone microcontrollers, as well as LEGO Mindstorms controllers NXT and EV3. Pixy2 was announced recently as Pixy’s smaller, faster, and smarter younger sibling. Is Pixy2 also better-looking? Well, that’s kinda mean, but please do drop us a line, and let us know your thoughts on this or any other Pixy-related topics. For updates of the Pixy project, please join our mailing list or follow us on Facebook, Youtube, or Twitter.